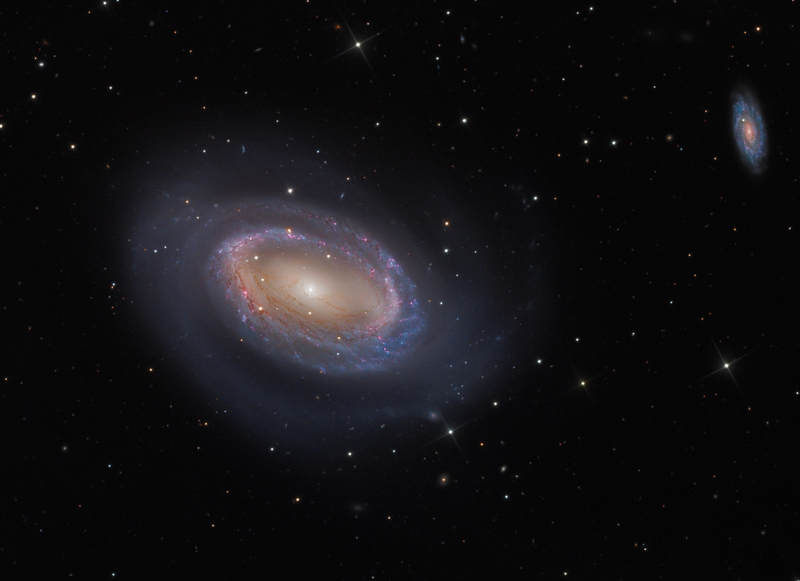 Explanation: While most spiral galaxies, including our own Milky Way, have two or more spiral arms, NGC 4725 has only one. In this sharp colour composite image, the solo spira mirabilis seems to wind from a prominent ring of bluish, newborn star clusters and red tinted star forming regions. The odd galaxy also sports obscuring dust lanes a yellowish central bar structure composed of an older population of stars. NGC 4725 is over 100 thousand light-years across and lies 41 million light-years away in the well-groomed constellation Coma Berenices. Computer simulations of the formation of single spiral arms suggest that they can be either leading or trailing arms with respect to a galaxy's overall rotation. 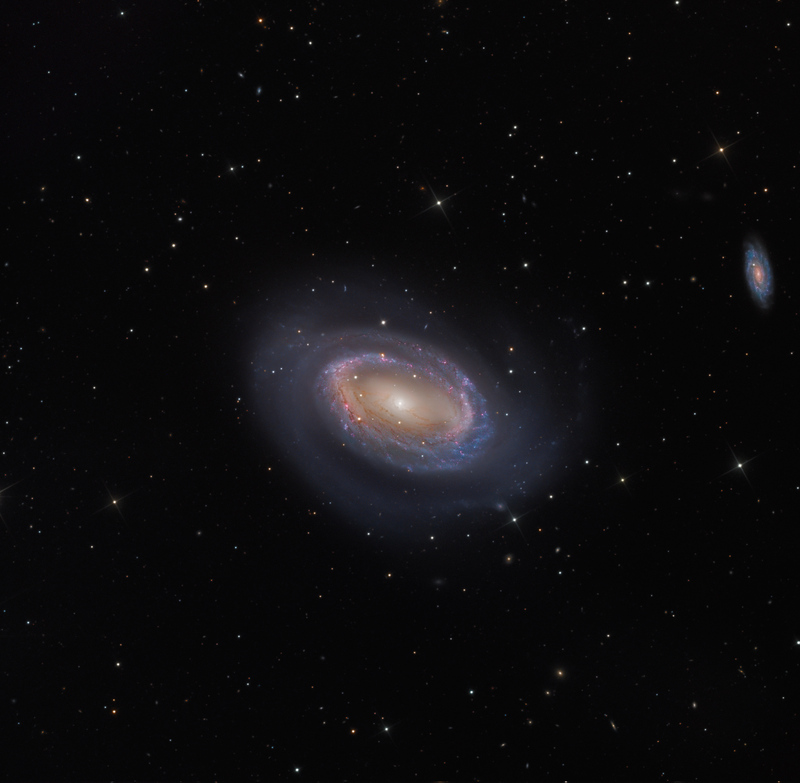 Also included in the frame, sporting a noticably more traditional spiral galaxy look, is a more distant background galaxy.